You may have seen a recent update from The Joint Commission regarding citations for noncompliance with hand hygiene standards. The update reads: Effective January 1, 2018, for all accreditation programs, any observation by surveyors of individual failure to perform hand hygiene in the process of direct patient care will be cited as a deficiency resulting in a Requirement for Improvement (RFI) under Infection Prevention and Control (IC) Standard IC.02.01.01, EP 2. How does this differ from the Joint Commission’s current stance on hand hygiene compliance? Typically, organizations were only issued a RFI citation if no progress was made in hand hygiene improvement programs (or if a program was not implemented in the first place). However, since hand hygiene programs have been a requirement for well over a decade (2004), The Joint Commission no longer finds improper hand hygiene an acceptable cause for Healthcare Acquired Infections (HAI). As of January 1, if a Joint Commission surveyor witnesses any staff member in the process of direct patient care fail to follow hand hygiene protocols (even if it is just one time), your facility will be cited with a RFI and potentially lose accreditation if you are unable to show improvement. Having a monitoring tool and/or improvement program in place is no longer sufficient to meet Joint Commission Requirements. Hand washing compliance must be performed 100% of the time. What can I do to ensure my caregivers are following hand hygiene protocols? Some electronic hand hygiene compliance monitoring systems, such as CenTrak’s, provide more than just accurate hand hygiene compliance data. CenTrak also enables instantaneous reminders if a compliance opportunity was missed before the caregiver has had a chance to interact with a patient. What does this type solution look like? For example, with sensors that integrate directly into your hand hygiene dispensers and lightweight staff badges, a location-based hand hygiene compliance solution recognizes whether or not a healthcare worker washed their hands after their interaction with a patient and upon entering the next room. Failure to obey these hand hygiene protocols would result in a real-time reminder from the staff member’s badge to ensure compliance. CenTrak’s hand hygiene reminder system can be programmed to support any protocols implemented by your facility. CenTrak also supports other Real-Time Location System (RTLS) use cases including streamlining clinical workflows and improved infection control. With the same infrastructure, healthcare leaders can prevent cross contamination of equipment as well as ensure that all equipment is cleaned according to recommended protocols. This is especially important for medical scopes which have notoriously been linked to dangerous HAIs. 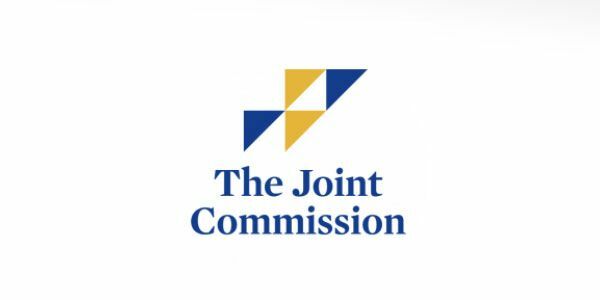 Be prepared for your next visit from The Joint Commission. Go to https://www.centrak.com/blog-measuring-hand-hygiene-compliance/ to learn more. Then request a demo right away.